We will skip past the full body scan that Fatima Blush had to go through to gain entrance to SPECTRE’s headquarters, and even the corneal transplant that was discussed. By now, they were advancing technologies and nothing new for the movie goer. The first gasp of admiration during the Thunderball remake was for a device seen in James Bond’s Shrublands Health Spa Boudior. And it wasn’t just any old device. It was another of his suave seduction devices. What unsuspecting woman would not be lured with a suitcase full of caviar, vodka, quails’ eggs and foie gras? To be fair, Patricia knew she was in for an interesting night as soon as she knocked on 007's door with a boring tray of, "Lentil delight, dandelion salad, goat's cheese". Just hearing James say, "Foie Gras" was enough to make her swoon and sigh. 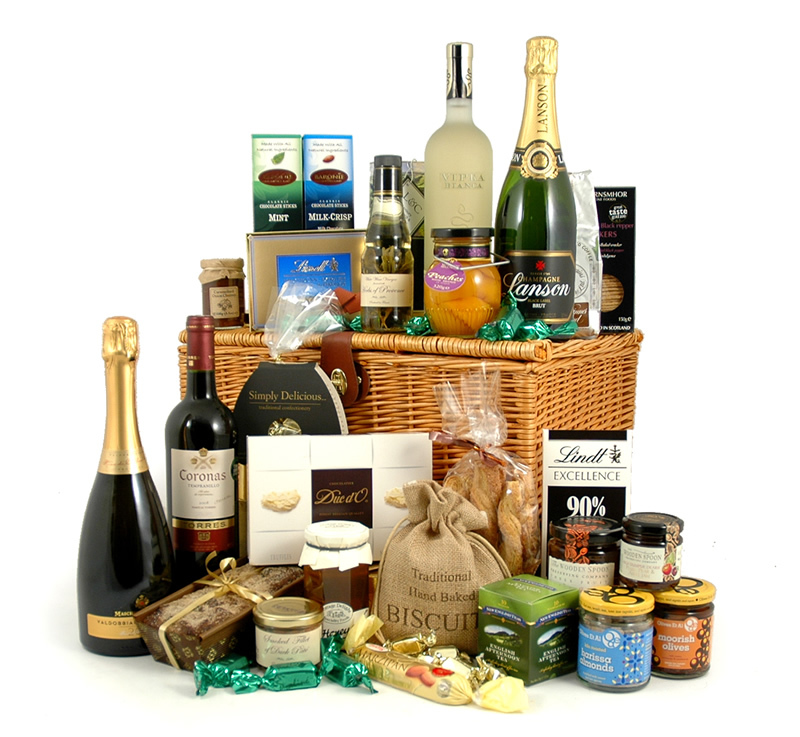 The companies below carry a massive range of luxury hampers, hamper gifts and hamper baskets. We have picked out just two examples including a simple wine, cheese and chutney night in, and an ultimate luxury hamper, crammed full of award winning delights and treats. At £175, this hamper is clearly at the other end of the spectrum, you have this ultimate hamper, that is crammed full of so many award winners that it will need to full 007 Box Set.